"We are honored to be able to contribute to this important and special meeting." 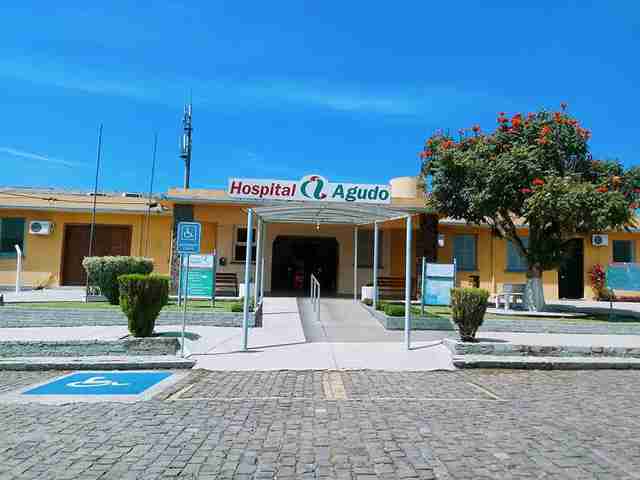 Every day, staffers at the Hospital Agudo medical facility in Brazil apply their expertise to aid patients suffering from injuries or diseases. But this week, a special type of treatment was offered for a different sort of ailment. It was to help heal a few broken hearts. 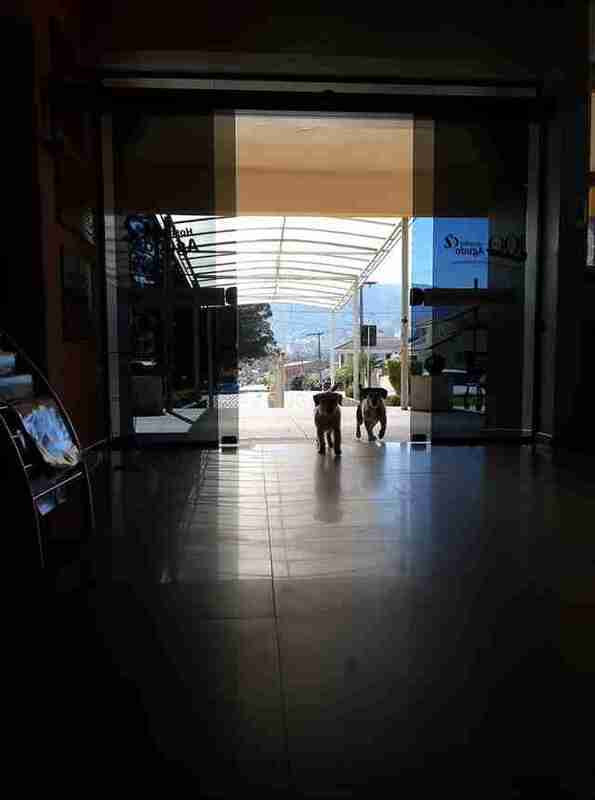 Late last month, on the day a local man was transferred to the hospital, folks working there first began noticing something unusual going on outside the main entrance. A pair of dogs, for whatever reason, had chosen the space near the entryway as their new hangout. And they refused to leave. For the next two weeks, the dogs remained, spending their days and nights camped out front. Turns out, the pups were there with a purpose. 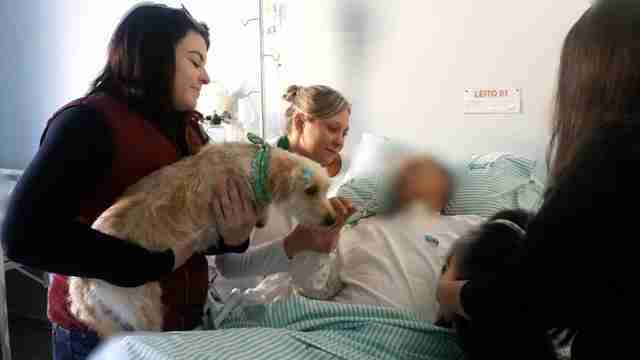 As care staff came to learn, one of the dogs belonged to the patient who'd been admitted on the day of the dogs' arrival. Her name is Princess. The other dog, dubbed Scooby, is Princess's friend who decided to keep her company as she waited for her owner's return. Veterinarian Maria Alice Altermann first learned about Princess and Scooby from her friend, a nurse at the hospital. She and a colleague were asked to bring the dogs in for a checkup. But the dogs got more than just that. Doctors at the hospital decided that, for the benefit of everyone, Princess and Scooby should be allowed to see the patient they'd been waiting for. 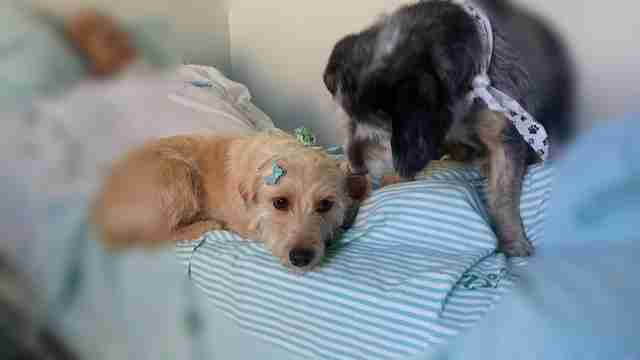 So they were taken to a groomer, too, in preparation for the visit. 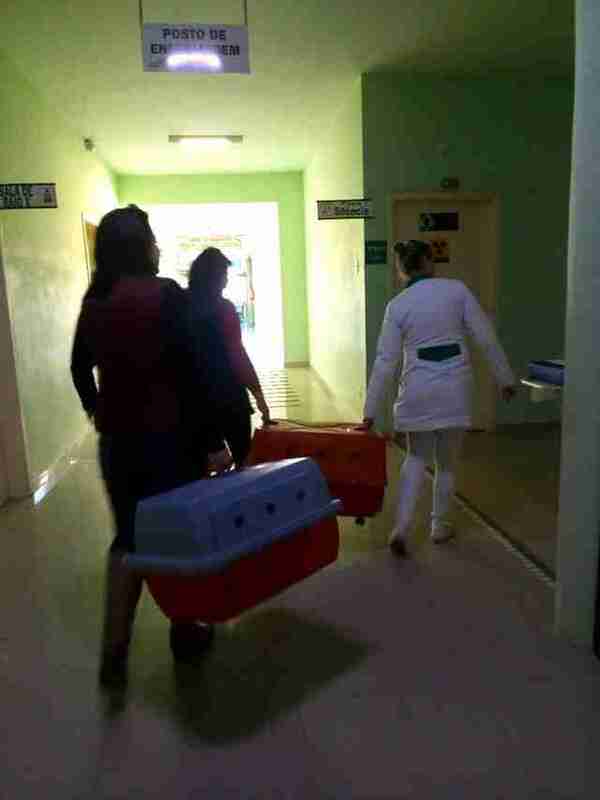 Afterward, they were carried thought the hospital corridors — and then the long-awaited moment finally came. For privacy reasons, the patient's identity and condition haven't been disclosed. But seeing the reunion take place, it was clear that his spirits were buoyed. 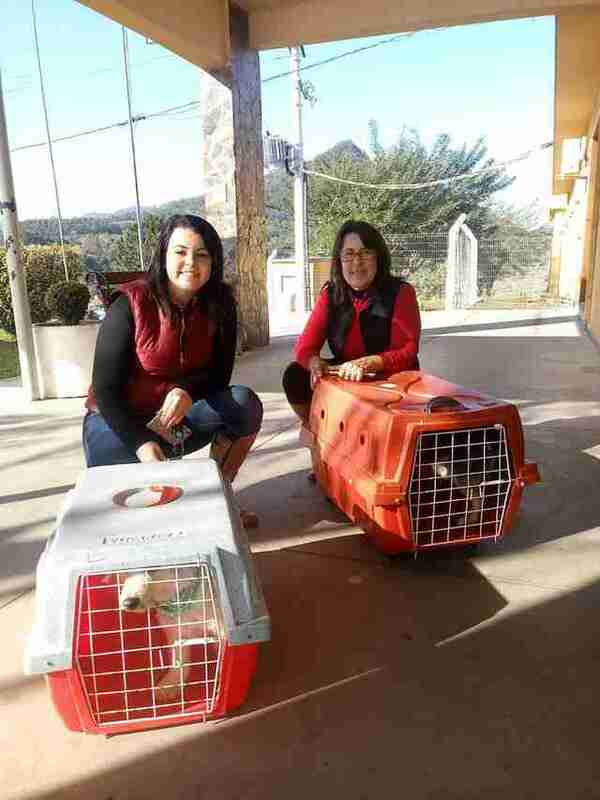 "We took the carriers into the room and released the dogs," Altermann told The Dodo. "The man began to breath excitedly. The dogs climbed on the bed, and we put his hand on Princess. And there she laid and stayed." It wasn't medicine, per se, but the visit did seem to have an effect on both the man and the faithful pups. Those in the room couldn't help but feel touched. "We are honored to be able to contribute to this important and special meeting," Altermann later wrote. "It will surely be reflected in the patient's recovery and will soothe the distressed heart of the dogs who were missing him so much." For the time being, Princess and Scooby are being cared for by the hospital staff until the day comes that the man is healthy enough to be discharged. And, with any luck, this special visit will help that happen even faster. 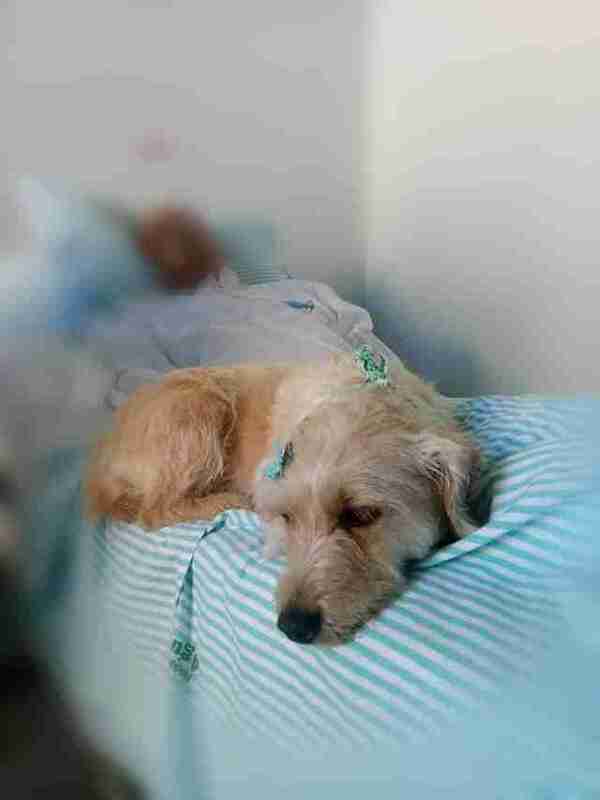 "All of us on the staff of the Agudo Hospital Association are rooting for the recovery of our patient and that he returns home soon," the facility wrote, "so that Princess and her friend can alleviate their longing."